Come November and people start searching for best places to visit in India in winter. 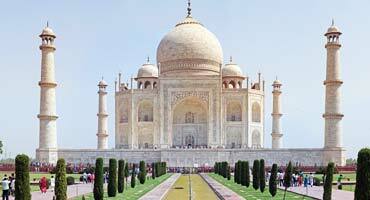 From tourism point of view, winter, or to be more specific, the months of November, December, January and February are when tourism in India reaches its crescendo. 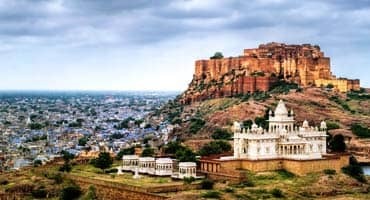 One of the hottest destinations Rajasthan (It is literally burning during summer months) becomes one of the most sought after places to visit in India in winter. Then the beaches of the west coast and south, be it Goa or Kovalam offer ideal setting for sunbathing and leisure activities. 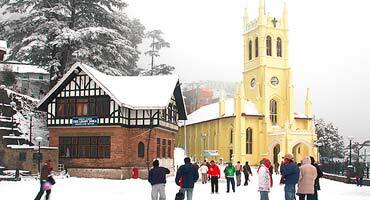 Up north, it's the time for winter snow treks in Himalayas for the adventure enthusiast. And last but not the least winter is also the wedding season in India. The hills - be it north or south - becomes the cocoon of romance for newlyweds looking for places to go for honeymoon in India in winter. For families, it is anywhere in entire country when it comes to winter holidays in India but Maharashtra, Himachal, Kerala and Goa remains favorite. 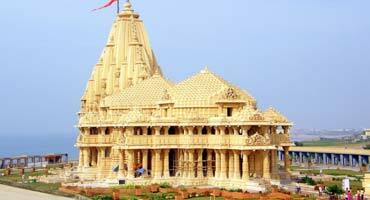 For the elderly, Gujarat with its numerous temples and places for pilgrimage becomes one of the top places to visit in India in winter. So whether you're looking for a family holiday, solo vacation, going out with friends or looking for pilgrimage or honeymoon in India in winter, browse through our list of top destinations to visit in India in winter to plan your trip. Andaman Islands, home to sandy beaches dotted with swaying palms, historical monuments, numerous adventure activities and abundant marine life, is one of the best kept secrets of India. 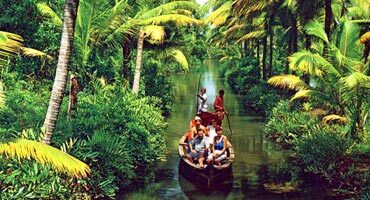 Mesmerizing with its palm-fringed backwaters, Ayurvedic treatments, tranquil beaches and lush hills, Kerala is rightly called "God's Own Country". Bask in the bliss of paradise this winter! 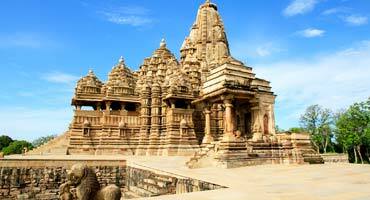 Forts, palaces, temples, Thar Desert, royal culture, amazing shopping, delicious shopping, Rajasthan is a riot of colors and a must visit winter destination in India. Up for the experience? Snuggled in the lap of Himalayas; Himachal Pradesh is a must-visit place to experience the mountains. Winter in all its snowy glory tempts for a vacation, be ready for the adventure! 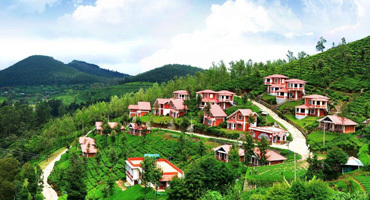 Choose your favorite hill station! 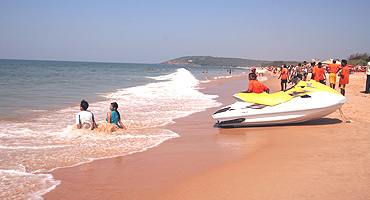 The best beach destination in India, Goa is mesmeric. Golden shores for every mood, watersports, exciting nightlife, mouthwatering gastronomy, Goa doles out fun and colonial hangover! 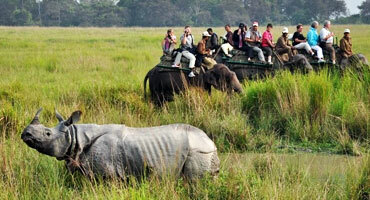 Listed as a UNESCO World heritage Site, known for being the home of one-horned rhinoceros, Kaziranga National Park in Assam is one of the best winter holiday destinations in India. 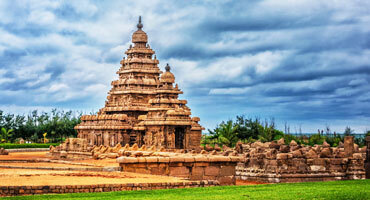 Temples, beaches, culture, UNESCO World heritage Sites, food and more, Tamil Nadu gives abundant reasons to visit. 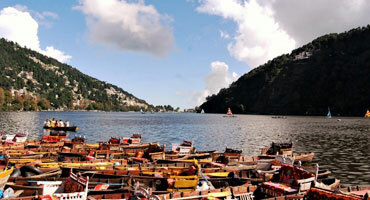 Plan a winter escape to the southern Indian state to bask in the amazing bliss. 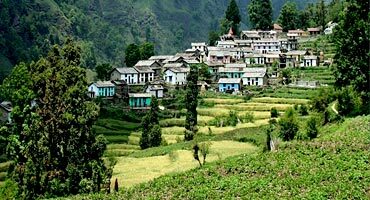 Dev Bhoomi, Uttarakhand settled in the lap of Himalayas is the land of bliss, adventure, romance, relaxation, wonderful experiences and more. Indulge in white winters planning your trip to the mountains. 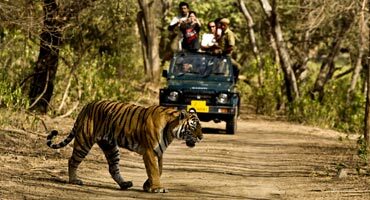 A must visit place during winters, Bandhavgarh National Park in Madhya Pradesh is home to rare Royal Bengal Tigers and other exotic flora and fauna in huge numbers, perfect for exciting wildlife adventures. A UNESCO World Heritage Site, The Khajuraho Group of Monuments becomes all the more enchanting during the pleasant winters, especially when the Khajuraho Dance Festival is held. 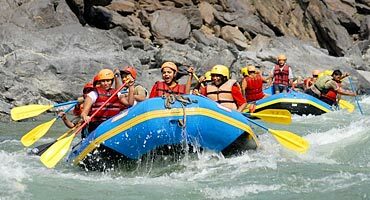 White water rafting at grade 5 rapids? Or some therapy of body, mind and soul in a Spa, Ayurveda and Yoga Ashram Himalayas? Maybe both! Choose whichever, you're still coming to Rishikesh! Home to UNESCO World heritages sites, vibrant culture, tasty food, wildlife, nature and all modern amenities, Gujarat is undoubtedly one of India's top tourist attractions, especially in winters. 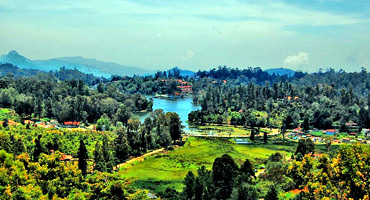 Kodaikanal, the 'princess of hill stations' is popular amid family vacationers and couples for its scenic locations and pleasant weather. Ready for a taste of pure bliss on your holiday this winter? 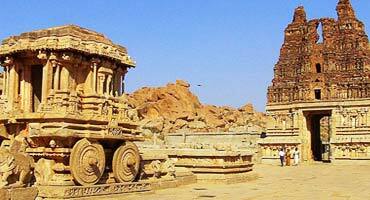 Having its name inscribed as UNESCO World Heritage Site, Hampi Group of Monuments along the river Tungabhadra is home to ancient history, wondrous topography and awe inspiring relics of Vijayanagara Empire. The only place in India with a temple dedicated to Lord Bramha, Pushkar is at its best in winter month. 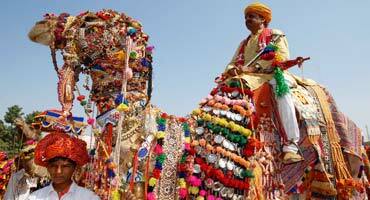 Not to forget the Pushkar Fair, the celebration of the camel which takes place in November. 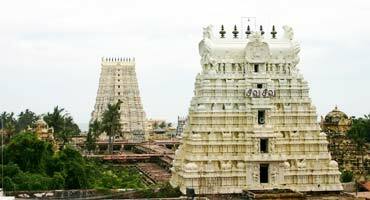 A small island in Gulf of Manner, a part of Tamil Nadu, the holy center and one of the Char Dhams in India, Rameshwaram is best visited during winters for a divine holy experience at Ranganathaswamy Temple. Home to one of the World's Seven Wonders 'Taj Mahal', Agra is a sought-after destination of India. Winter increases the ethereal charm of the white-marbled mausoleum and the Mughal City. Located in Nilgiri Hill Ranges, with its pristine lakes, awe inspiring view point and unmistakable Raj era charm often make you believe you're meandering an English lane. 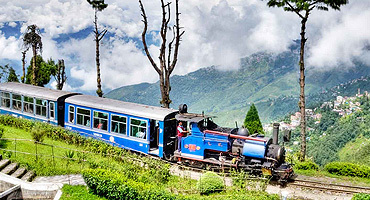 Do not miss the toy train ride! 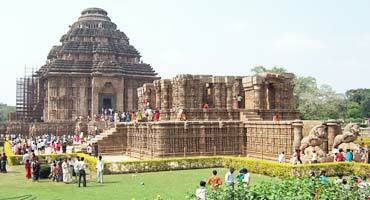 The magnificent Sun Temple at Konark, a UNESCO World Heritage Site is the culmination of Odisha temple architecture, and one of the most stunning monuments in the world. 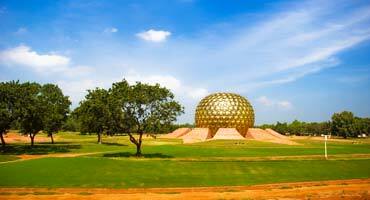 Peaceful Pondicherry with its colonial charm, one of the most sought-after South Indian destinations, offers an eclectic mix of modern and spiritual worlds. Get ready for a French holiday! 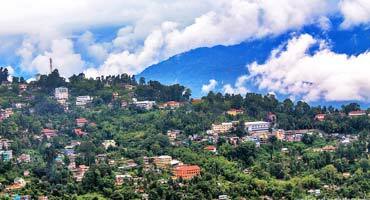 Ranikhet, the cantonment area of Uttarakhand is surrounded by the massive Himalayas on all sides. 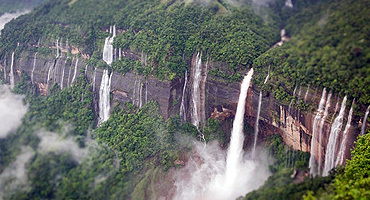 Secluded and relaxing, it is a pleasant change from the other 'touristy' hill stations, prefect for a winter holiday. Immortalized by the great Ruskin Bond, the Corbett National Park in Uttarakhand is the one of the oldest national parks in India. 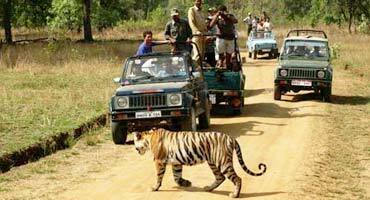 Home to ferocious Tigers and other wildlife, its haven for winter adventure. This brilliant natural establishment in West Bengal is within sight of the great Khangchendzonga Mountain, and comes loaded with Buddhist and colonial influences in its culture. 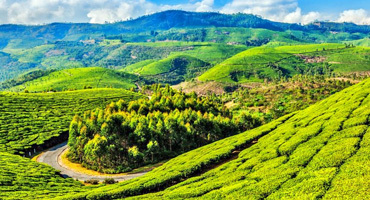 Smaller, quieter and cheaper than other hill stations, Coonoor in Tamil Nadu is for the lazy traveler who prefers solitude over melange or a lengthy novel over a rough trek. No place to rush. 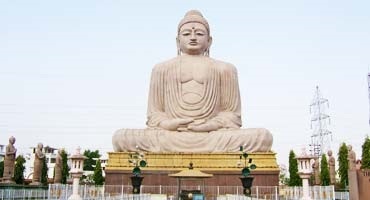 The most significant places among Buddhist pilgrimages in India, Bodhgaya, a UNESCO World Heritage Site is where Siddhartha attained Nirvana and became Buddha. This winter, get blessed! 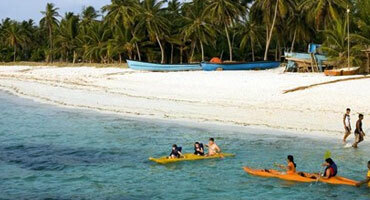 India's answer to the Bahamas, Lakshadweep is an archipelago of tropical islands in the lower Arabian Sea. Be a true castaway when here in seclusion, with all the luxuries, of course. 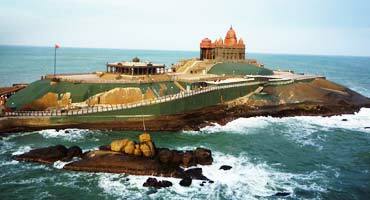 Panoramic sunset and mesmerizing views, stunning beaches and pleasant weather and add to it the pervading charm & serinity, Kanyakumari a one of the best places to visit in India in winter. 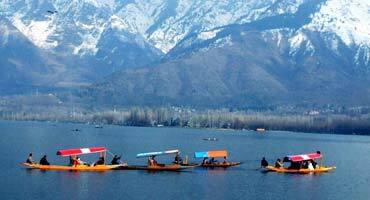 Glistening lakes, carpets of snow and lush greenery combine to make Kashmir look like "Heaven on Earth". Winter enhances the charm making honeymoon, adventure, family time all the more amazing.